Highly recommended by his clients, Steven provides attentive service and designs beautiful residential and commerical interiors throughout New York and across the United States. 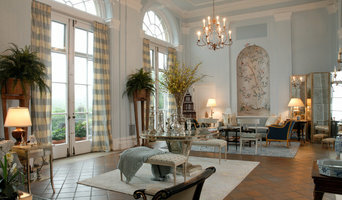 North Shore Long Island Interior Designer - Inviting Living Spaces! Our mission is to create beautiful, inviting living spaces that are comfortable and functional and that suit the personal needs of our clients. Call us today! As a designer, Crystal partners with her clients to give them beautiful, balanced & livable spaces. She has an intimate understanding of color, texture & form- and a tight eye for scale & space. With a combined 45 years of experience, we are able to create a unique space that is an equal parts furniture showroom, contemporary art gallery, interior design center and cultural events venue. A New York design studio working with residential clients and budgets of all sizes. Our design approach is rooted in modernism and specializes in working with high-end European suppliers and artisans. As a designer I want my clients’ homes to reflect how they live. Each design is a collaboration. I am a facilitator bringing spaces to life, which is what good designs should always do. Abaca Interiors is a full service interior design firm servicing the New York area. We pride ourselves on creating environments where people feel comfortable and pretenses are dropped. We aim to listen more than we talk, to ensure that the spaces we design not only reflect, but also embrace the lives of the people who live in them. Our interiors are effortlessly stylish, confident and enduring, with plenty of room for the expression of personal taste. Constantly putting a spin on their portfolio, Isabel Designs has a passion for working with space and homes of all sizes, and taking on projects ranging from one room to an entire home. Anne Tarasoff and her daughters, Gail and Karyn, strive to create comfortable, happy, livable homes. We believe that creating a home should be a partnership between the designer and the homeowner. With over twenty years of experience and a background in the remodeling industry, Karen is a "hands-on" designer and enjoys being involved during the construction phase of the project. Keith Baltimore launched his widely acclaimed interior design firm over 27 years ago, with a distinguished portfolio today representing luxury residential and commercial projects. Baltimore’s highly discerning and loyal clientele turn to him for his talent and expertise in bringing beauty into their lives. Regardless of style, he creates a classic, yet cutting edge aesthetic, incorporating the latest innovations in products and materials. With a keen eye for elegance and attention to the smallest details, his glamorous and imaginative designs inspire and delight. Baltimore’s work often appears in the press including: Traditional Home, Newsday, NY Cottages & Gardens, LI Pulse, House Beautiful, Better Homes and Gardens, and DecoratorsBest.com. Baltimore is frequently featured on NBC LX-TV’s Open House, and was chosen Best of Open House 2014. Designing spaces is my passion! I use a team of highly skilled professionals to meet your design needs. It is an honor and privilege to do what I do. Call me today for a consultation! J . Novack Design is a New York City design firm led by Jeff Novack that specializes in the use of color, space and materials to create enhanced and unique interior spaces for our clients. Peter Charles brings over 32 years of experience in both residential and corporate interiors. Whether contemporary, period, or eclectic, the client’s needs create the idea behind the design. Amy J. Luria's professional and collaborative approach begins with a unique perspective and connection to the client, from the very first discussion to completion. JNR Designs is a full-service interior design studio. serving the NY City Metro Area. Jennifer's design philosophy is clean, simple and colorful. Form and function. Perfectly, imperfect. A place that is beautiful and comfortable and feels uniquely “you.” Jennifer believes in complete collaboration with every client so at the end of the day the newly designed room feels like a better version of what the client loves. Mixing modern with traditional, finding one–of-a-kind pieces and creating a place to walk into at the end of the day that feels like a haven is what we strive for. I believe good design begins with good relationships. As my partner in the design process, I help you visualize your project's potential and make your ideas become a reality! Whether you're building, remodeling or redecorating, Riese Design can help transform your home into a beautiful space to call your own. Also featured on NBC's upcoming episode of George to the Rescue. Leslie Padron Designs is a full service design firm with almost 30 years of experience in residential and commercial design. We specialize in EVERYTHING related to interiors; renovations, kitchens, bathrooms, furniture, fabrics, flooring, lighting, plumbing supplies, art, and accessories. Partnering the job with you is important so that all of your needs are taken into account. The ultimate goal is for you to walk into your home and say "Hi House" with a big grin on your face, knowing it is everything you hoped for. That's so satisfying! The work of a professional can make all the difference. Whether your home has 10 bedrooms, or your apartment is 800 square feet, it can be tricky to create a cohesive look that is representative of your style. That's where a local Manorhaven interior designer comes in. A home decorator will help distill your tastes and ideas into a design that suits the needs of your space. Whether you need help creating a functional space plan, rearranging existing pieces, designing the inside of a new home, or simply sourcing amazing furniture and decor, seeking the help of professional interior designers and decorators in Manorhaven, NY is a must. A good home design professional will hone your style down to its very essence and be able to choose a functional layout that feels natural to you. Interior design companies can be involved as much or as little as the client desires. Many clients who hire an interior decorator in Manorhaven, NY — particularly those who are remodeling — have a good sense of how the room should look and what products they should use. Often clients will insist that interior decorators use the products already present in the house. Other times a designer will need to start from scratch — especially if this is a newly purchased or just-built home. An interior design company will need to figure out exactly what the client needs, which includes organizing rooms, picking flooring and wall colors, and finding furniture to complement it all. Sometimes that means he or she will have to recruit help from other Manorhaven, NY home professionals to help create the perfect look for your renovation. Here are some related professionals and vendors to complement the work of interior decorators: . Do your research before meeting with an interior designer or home decorator in Manorhaven, NY. Ask yourself what you want your space to become and what it will be used for. Figure out the extent of what you need help with, what your must-haves are and what your budget is. Interior design services can add up fast, so be up front with a potential design firm or individual from the beginning. Also, pick an interior decorator that fits your style. Browse through the portfolios of different Manorhaven interior design firms and decide if you would live in those houses. Just because you like something doesn’t mean you could live in it. There's a big difference! Find an interior designer or home decorator in Manorhaven, NY on Houzz. Narrow your search in the Professionals section to find Manorhaven interior designers near you. 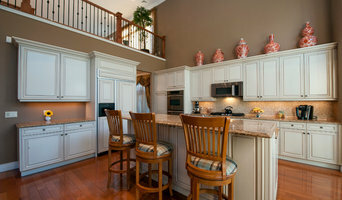 You can also look through Manorhaven, NY photos to find a room you like, then contact the design firm who designed it.